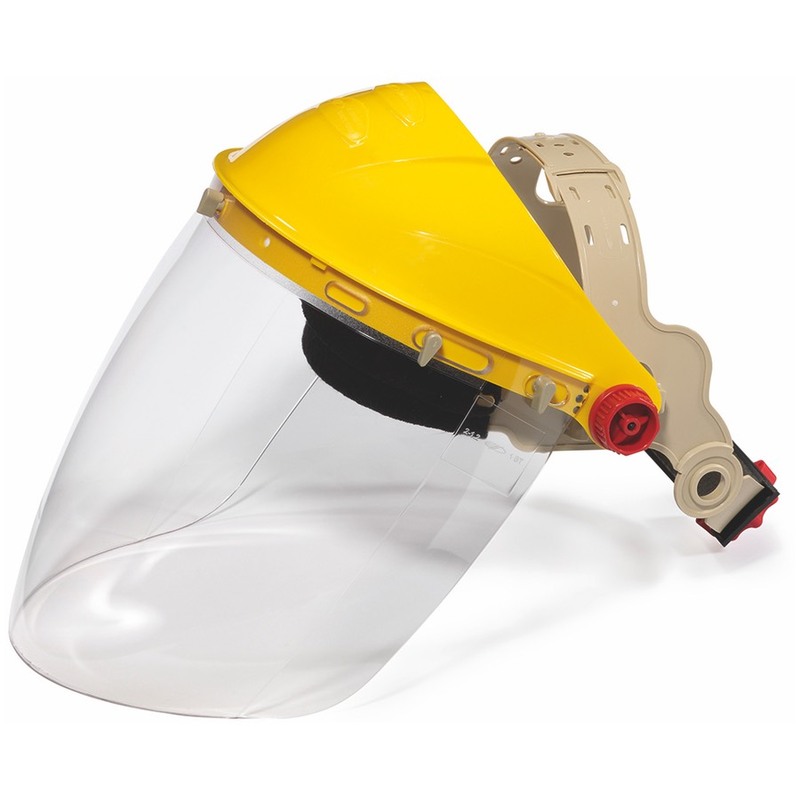 The safety faceshield SHAPE is compact, comfortable and lightweight. Its molded polycarbonate visor provides a superior optical quality with an unlimited field of vision. • Perfect optical quality. • Wide fi eld of vision. • Adjustable headband. • Compatible with prescription glasses.